Be sure to vote for next week's bottle spam! What are some of your favorite corals? I love bottle spam. Captivated looks so pretty. Still trying to find the perfect coral for me. The first row of polishes look so pretty! ah, this post is like heaven to me! i love the colors. 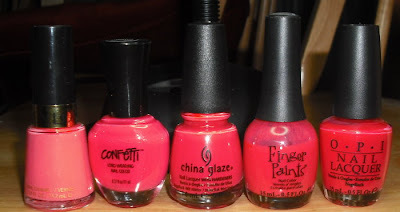 I love all things coral. 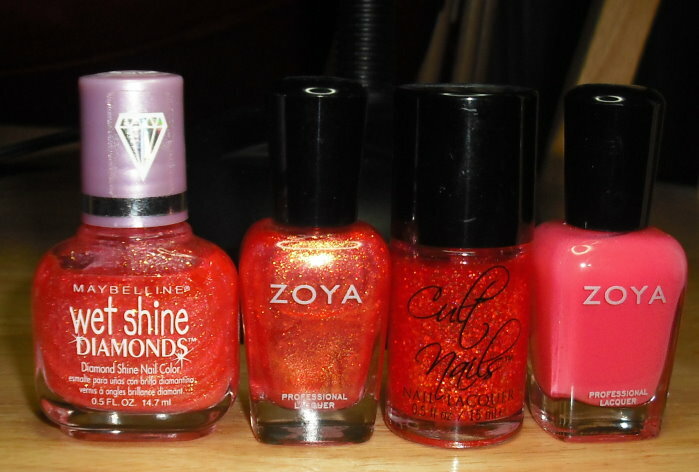 Some of my favs are Cult Nails Captivated, Zoya Elodie, and Barielle Gotta Have Fate. so pretty you should try mary kay coral stone! Ahh.....corals are my favorite!! I just picked up that Pure Ice, and wonder why I haven't picked it up sooner! Love seeing bottle spam! 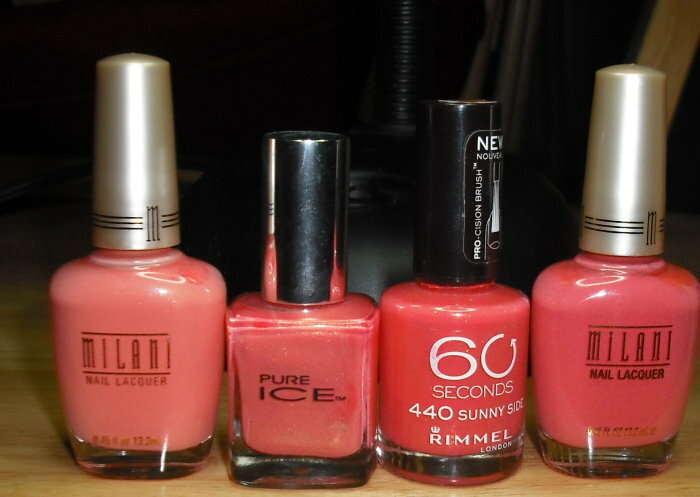 :P At the moment, I really like Butter London Trout Pout for corals. It's very bright and very spring-y. I love your collection and the Cult Nails Captivated is so awesome!